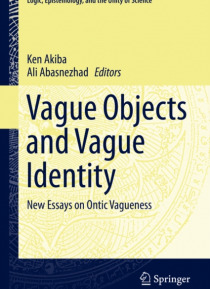 This unique anthology of new, contributed essays offers a range of perspectives on various aspects of ontic vagueness. It seeks to answer core questions pertaining to onticism, the view that vagueness exists in the world itself. The questions to be addressed include whether vague objects must have vague identity, and whether ontic vagueness has a distinctive logic, one that is not shared by semant… ic or epistemic vagueness. The essays in this volume explain the motivations behind onticism, such as the plausibility of mereological vagueness and indeterminacy in quantum mechanics and they offer various arguments both for and against ontic vagueness; onticism is also compared with other, competing theories of vagueness such as semanticism, the view that vagueness exists only in our linguistic representation of the world.Gareth Evans's influential paper of 1978, "e;Can There Be Vague Objects? "e; gave a simple but cogent argument against the coherence of ontic vagueness. Onticism was subsequently dismissed by many. However, in recent years, researchers have become aware of the logical gaps in Evans's argument and this has triggered a new wave of interest in onticism. Onticism is now widely regarded as at least a coherent view. Reflecting this growing consensus, the present anthology for the first time puts together essays that are focused on onticism and its various facets and it fills in the lacuna in the literature on vagueness, a much-discussed subject in contemporary philosophy.